JEANS worn out at the knees could be used to repair worn out knees, thanks to an in-jean-ious discovery by Australian scientists paving the way for denim to be transformed into artificial cartilage for knee reconstructions. Deakin University researchers have discovered how to dissolve denim and turn it into an 'aerogel', which can potentially be used as artificial cartilage. 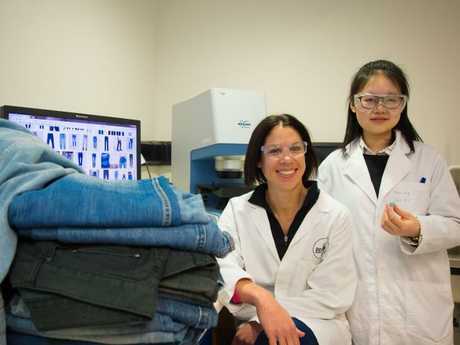 The denim recycling discovery - by the Institute for Frontier Materials and Deakin's School of Engineering in Victoria - not only provides a potential new material for use in knee reconstructions, but could also help solve the global problem of textile waste. T cellulose-based aerogel could be used as artificial cartilage. Picture: Donna Squire. Deakin scientist Dr Nolene Byrne said the process worked because denim was made from cotton, a natural polymer made of cellulose. 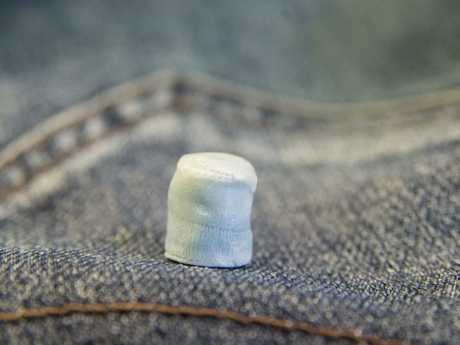 Liquid solvents were used on waste denim, dissolving it and allowing it to be regenerated into aerogel, she said. The stickiness of the denim cellulose solution was what made it ideally suited for use as synthetic cartilage, Dr Byrne said. "That's exactly what cartilage looks like - you can't 3D print that material - and now we can shape and tune the aerogel to manipulate the size and distribution of the tunnels to make the ideal shape," she said. Aerogel was a low density material which could be used not only to make artificial cartilage in the future but also for water filtration and as a separator in advanced battery technology, Dr Byrne said. Dr Wren Greene from Deakin's Institute of Frontier Materials, who helped test the aerogel as artificial cartilage, said similarities between the two were extraordinary. "The remarkable similarity in the pore network structure of these aerogels and cartilage tissues - even down to the dimensions, orientations, and density distribution of pore channels - enables these materials to replicate a special type of 'weeping' lubrication mechanism used by cartilage to protect against wear and damage," Dr Greene said. Finding a new use for old denim was also important in tackling the growing problem of fashion industry waste. "With population growth and the development of third world countries combined with today's rapid fashion cycles, textile waste is always increasing, leading to millions of tonnes of clothes and other textiles being burnt or dumped in landfill," she said. Dr Byrne said the project was entering pilot scale trials and would hopefully be operating on a commercial scale within three to five years, with industry support. "These technologies really only advance if industry comes on board," Dr Byrne said. Knee replacement is a surgical procedure that removes diseased parts of the bones forming the knee joint and replaces them with an artificial joint. According to the Australian Orthopaedic Association's 2017 annual report, more than 653,000 knee replacement surgeries were performed and reported to the National Joint Replacement Registry in 2016. "This is an additional 60,903 knee procedures compared to the number reported last year," the 2017 report states. Total knee constructions accounted for nearly 84 per cent of the surgeries performed, while partial knee constructions and revision surgeries made up the remaining percentage. Since 2003, the number of knee replacement procedures performed annually in Australia has skyrocketed by 111.5 per cent. 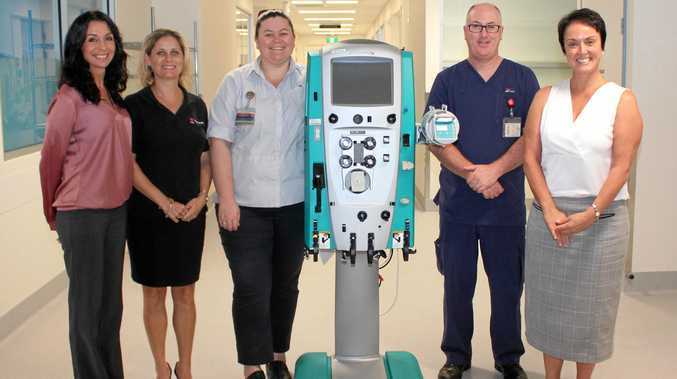 The increase has been attributed in part to Australia's ageing population and increasing levels of obesity, but also to the growing trend for knee surgery to be performed on people at younger ages.